Do you love ordering fried ice cream for dessert at your favorite Mexican restaurant? 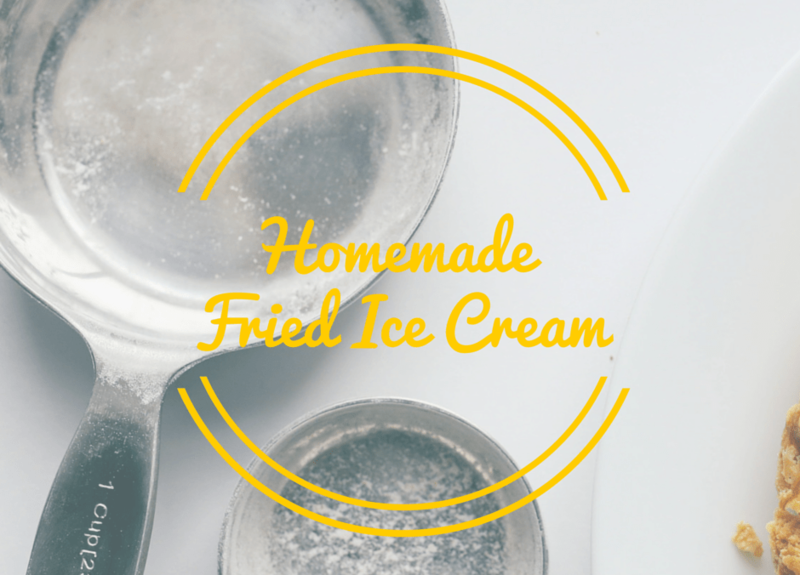 Ever wished you could make fried ice cream in the comfort and convenience of your own kitchen? Most people assume you need some fancy utensils and cooking skills to whip up a batch of fried ice cream, but the fact remains that it’s actually quite easy. And, believe it or not, there’s a good chance you already have all the ingredients you need in your kitchen right now. You can use just about any oil for this recipe, provided that it has a high smoke point (since it’s going to be used for frying). Vegetable oil will work just fine, if you have some of that on hand. Once you’ve got all your necessary ingredients, start by scooping out five or six balls of ice cream (using an ice cream scooper is the easiest way to get uniform-sized balls). Place them on a paper plate and set them in the freezer. While the ice cream balls are hardening, it’s time to prepare the crust for the exterior of the ice cream balls. This will give the fried ice cream that indulgent crunch when you bite into it. To create to outer crust, mix together the crumbs, cinnamon, and sugar into a bowl. Then, take the frozen ice cream balls out of the freezer and roll each of them around in the mixture to coat. Place back in freezer to harden while you complete the next step. Beat the egg in a bowl. Remove the ice cream balls from the freezer once again and roll them through the beaten egg before covering them in another coat of the crumb, sugar, and cinnamon coating. You can repeat these steps to achieve as many coatings as you want, depending on how crunchy you want your fried ice cream to be. Once you’re ready to enjoy your fried ice cream balls, heat a pot of oil to 350 degrees. One by one, place each ice cream ball into the oil and allow to sit for one minute before removing with a perforated or slatted spoon. Set aside and top with honey, whipped cream, chocolate syrup, or any other toppings of your choice. Allow to cool for a few minutes and then enjoy! We bet you can’t eat just one. As you can see, making fried ice cream balls at home isn’t rocket science. All it takes is about 45 minutes of your time and a little bit of skill in the kitchen. Try these once and we’re sure you’ll be making them on a regular basis!